Hi guys! Today we have a quick and easy craft for you to enjoy! If it comes out of a box, we have a mini box for it! All you need to do is add the labels. 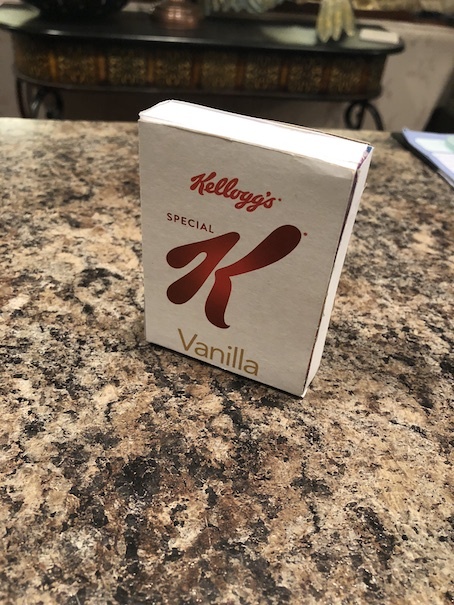 “It looks like a doll cereal box,” she told me, and she was right. It was the perfect size. So, once the candy was all gone, we taped the top of the box closed. Then we thought about printing an image of a cereal box from online. 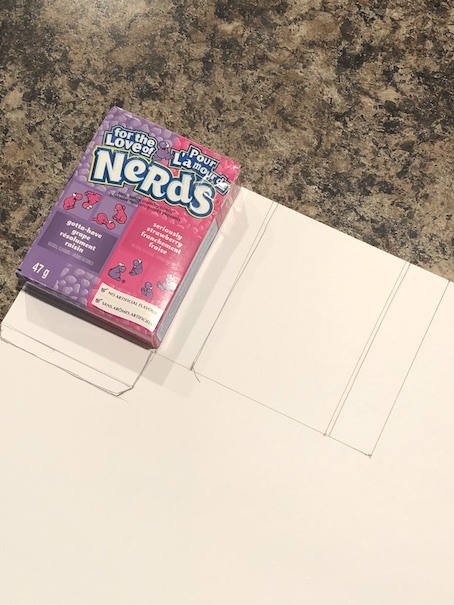 We quickly decided that we didn’t want to go to all the trouble of sizing the image to fit the box, and besides, what if we didn’t have any printer ink left? The latter is usually the case. 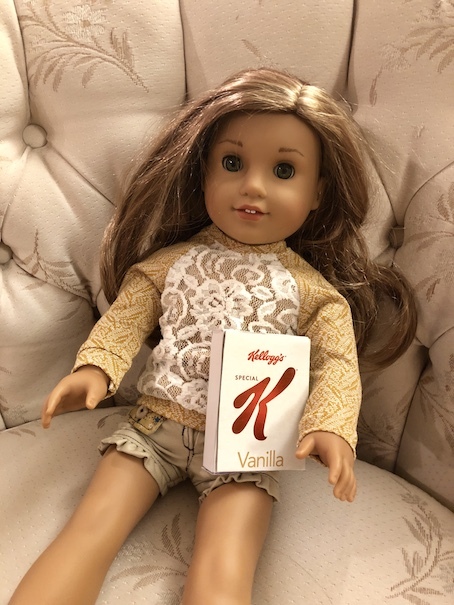 So, if you are lazy like us, or if you just have no printer ink left, but you still want a little cereal box for your dolls, then let’s get started! 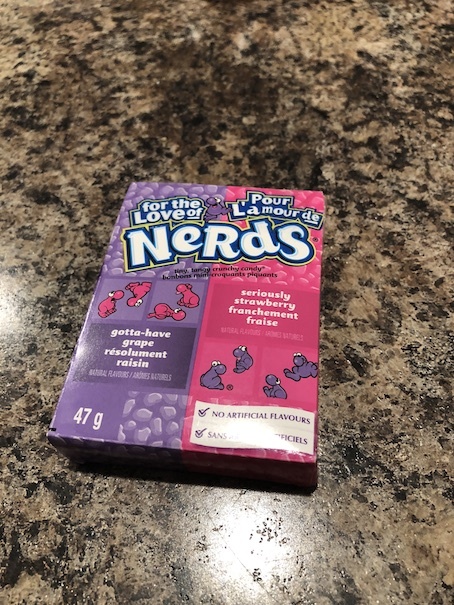 First, take your Nerds box, and cover it with paper. 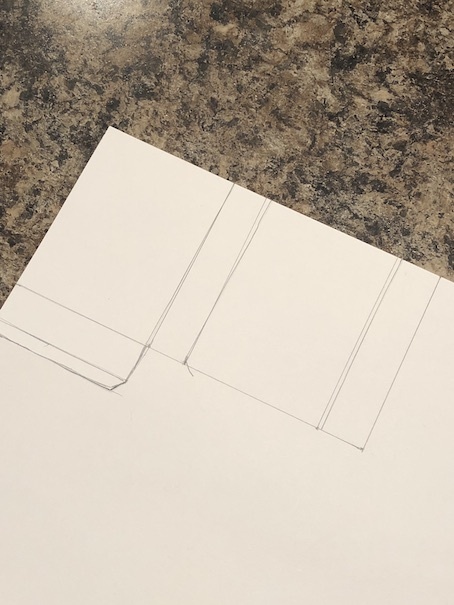 We simply traced out a template to cover the box. 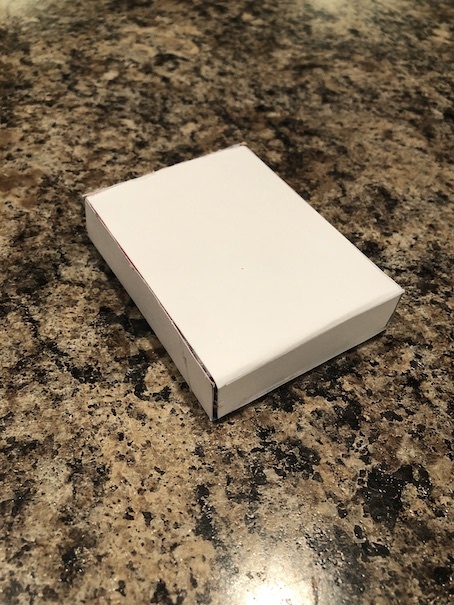 We scored all of the folds so that it would wrap perfectly around the box. The little flap at the bottom is for covering the bottom of the box. I added a little tab so I could glue it together. There is no top flap in this template but you could add one. I was kind of just winging it. In the end, I just cut out an extra piece to glue on the top, and that worked fine. Here we have hot glued the template to the box, covering all the sides..
Now to add the labels. 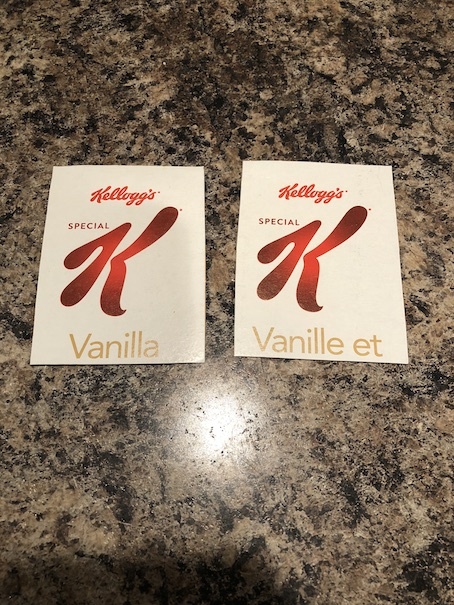 We decided to cut our labels right off the side of the actual human sized cereal box. 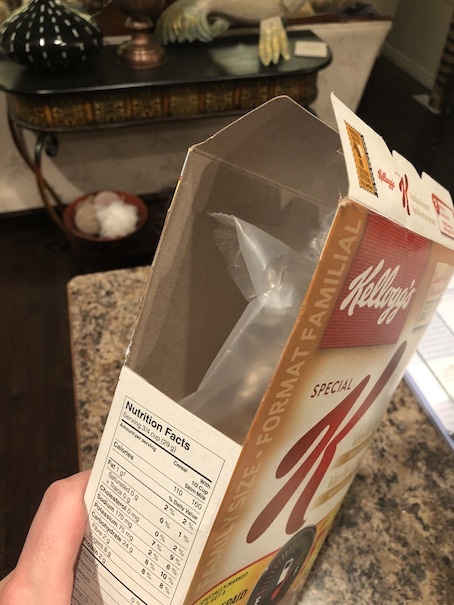 Often, there are smaller cereal logos on the top flaps of the human sized cereal boxes, or on the sides. So, yay for recycling! 😛 We cut two, one for the front of the box, and one for the back. The back is in French, because here in Canada everything is bilingual. This is the cereal box we used. This is my favourite cereal. I can eat this right out of the box as a snack. 🙂 Hot glue your labels on. Be sure that they are both the right way up. I hope that you enjoyed our tutorial today! Be sure to let us know what kind of cereal is your favourite in the comments below! Now, go get your snack on, and have a crafty kind of day! Great idea! 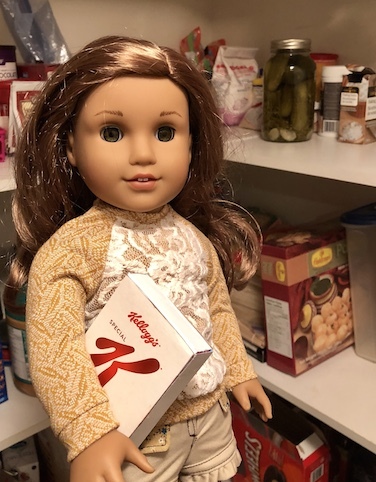 I’m eyeing up that pantry though–is that all doll sized??? Such a cute idea! I love cereal even though i don’t have it too often. Great idea! I love to eat Cheerios right out of the box. Yummy! This month in Canada they have pumpkin spice flavour; delicious! Have you tried it? Wow! Pumpkin spice flavour is taking over the world!! LOL! I will have to keep an eye out for those for sure!